ISIS fighters rally in Iraq as they advance towards Baghdad. This extremist Sunni group has announced plans to rule the territory it has carved out of Iraq and Syria in recent months. 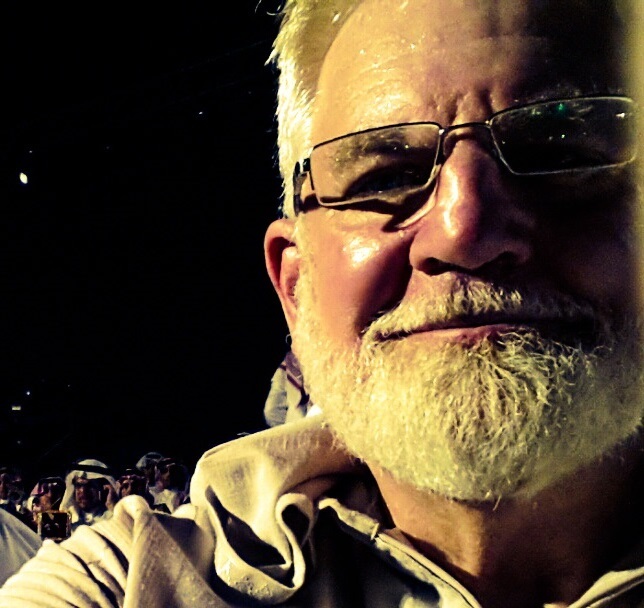 I have lived in the Kingdom of Saudi Arabia for two-and-a-half years now. I’ve asked just about every difficult question that could possibly be asked, and I have actually been on the lookout for “extremists” to try to get a better understanding of what makes them think the way the do. So far I have found possibly one. The Muslim brothers and sisters I have here are, for the most part, rational men and women who dislike bigotry, hatred and war. They simply want a nation that has a sound economy. They want good educations and prosperous futures for their children and grandchildren. However, they are quite concerned about how others outside the Kingdom view their Muslim faith. As I answer the above questions, I do not intend in any way to excuse some of the obvious hatred and bigotry among peoples and groups who refer to themselves as Muslims. 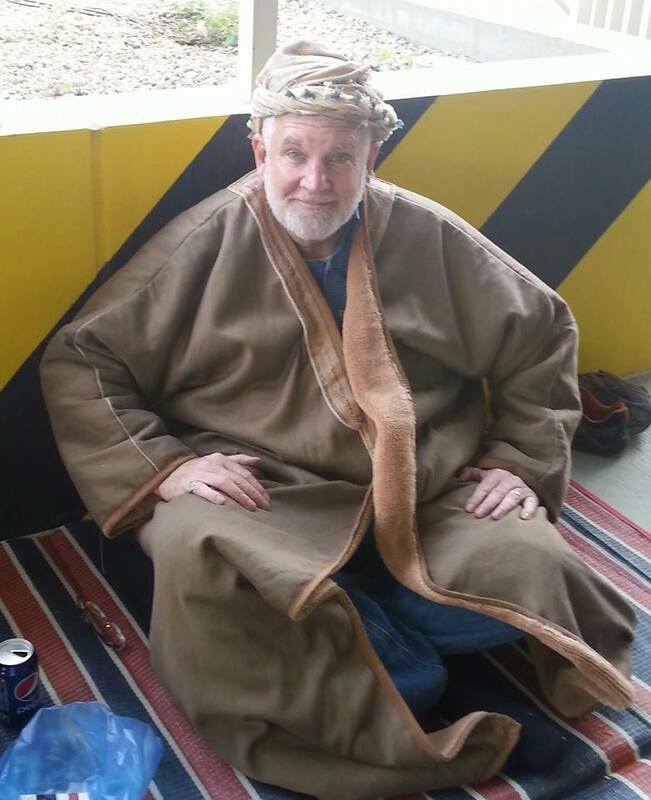 But in living here in the Mecca Region, the very heart of Islam, I have gained what I believe to be a valid perspective, having completed the grueling difficulties of Hajj with friends from our local neighborhood mosque, and having visited Mecca on many occasions and Medina once. Also, millions of Muslim pilgrims from all over the world travel in and out of Jeddah every year on their way to Mecca, just 35 miles down the road. I mingle with them as they come and go. I have also developed friendships with some of the migrant workers resident in Saudi Arabia—most who are Muslim. The American Civil War found brother fighting against brother and Christian fighting against Christian in a war to end slavery. While we are astounded at what we see every night on television, I can imagine that many Muslims of the 19th and 20th century must have asked these same questions when observing wars in the West. 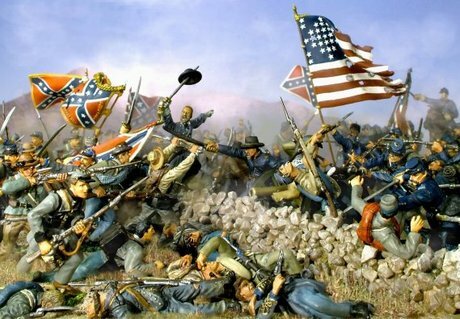 One might consider the American Civil War, that pit Southern Christians who supported slavery against northern Christians who, for the most part, opposed slavery. More than 620,000 American combatants died, and there were more than 450,000 casualties among American civilian men, women and children. During the First World War and the Second World War “Christian nations” battled “Christian nations” for supremacy. It was a time when oligarchies made alliances with religious groups and political parties (fascism) for one political objective or another. Allied armies responded in force. Even more recently we have had the Irish Republican Army (IRA) battling it out with the Presbyterian Orange Order of Northern Ireland. Countless kidnappings, murders, and bombings were carried out during the 1960s and 1970s. Homes were torched and innocent men, women and children were caught in the crossfire. Today in South Sudan we find Christian militia battling Christian militia for power and control, and in the Central African Republic Chrisitan militias have taken up arms against Muslims. A UN report indicates the militias are guilty of ethnic cleansing. ISIS and similar extremist groups are un-Islamic. 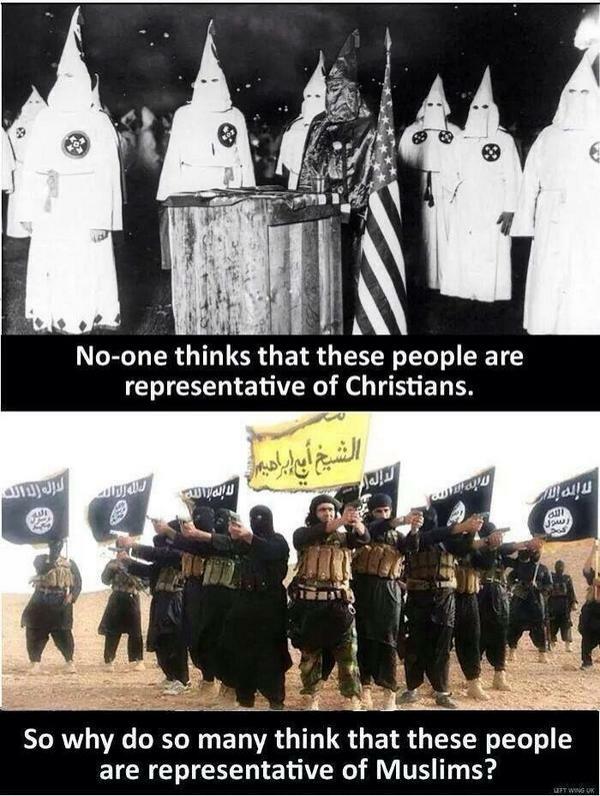 They do not represent Islam any more than the KKK represents Christianity. One cannot think simply of Islam as a united faith where all believers are in agreement. Islam has many divisions and factions. Greater than eighty percent of the world’s 1.5 billion Muslims are said to be Sunni. Among Sunnis are thousands of offshoots. In recent years, some self-proclaimed Sunni leaders, like those of ISIS (also known as IS, ISIL or Daesh), have managed to organize radical militias, enlisting soldiers while amassing funding by pillaging towns, cities, businesses and homes as they pass through. ISIS has a radical agenda of organizing a caliphate (an Islamic state) from parts of Syria and Iraq. Their leaders have ordered Iraqi Christians living within their proposed state to convert to Islam, pay taxes or die. To say that these fanatical Muslims who lob grenades at each other shouting “Allah akbar!” (“God is great!”) are representative of all Islam would be like saying the IRA is a bona fide movement of the Catholic Church. It is unfortunate that millions of Muslims today, especially those living in poorer nations, cannot read or write. While education of both girls and boys is promoted throughout the Muslim world, some Muslim populations have fallen under the influence of radical Islamists who have political objectives that are extra-quranic. They forbid the education of girls and endorse only principled Islamic texts for educational purposes. While many of those who are illiterate are able to recite long passages of the Qur’an, I was surprised to find that some have no idea what they are reciting. While the Arabic of the Qur’an is beautiful, flowing wonderfully with sounds and syllables, it is an ancient language that many who recite it don’t understand. It would be like a Catholic quoting from the Latin Vulgate Bible–not knowing the meaning or nuances of the Latin sentences and words. It has been pointed out to me by men in my mosque that there are many who are born into Islam and refer to themselves as “Muslim,” but they actually have no idea what it means to truly be Muslim. They have little knowledge of who Mohammad was and the principles for which he stood. War is hell, and horrible atrocities happen in all wars–even at the hands of western forces in Iraq and Afghanistan. However, when radical Muslims who are politically motivated present themselves to be acting on behalf of God, the consequences can be disastrous. One man commanding a group of disenfranchised, uneducated, illiterate followers can wreak havoc on a nation (eg Boko Haram in Nigeria, Al Shabaab in Somalia, ISIS in Iraq and Syria, etc.). Sunnis (about 80 per cent of Muslims) and Shiites (11 – 15 per cent) have waged deadly sectarian wars. 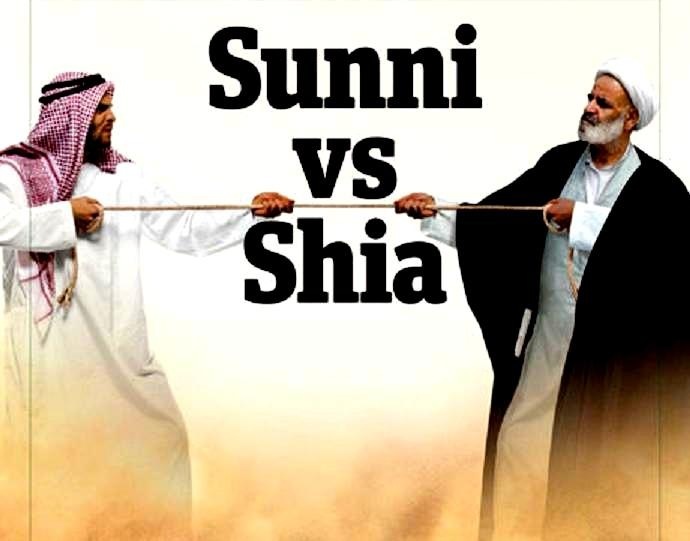 Now we come to the historic Sunni—Shia divide. I do not pretend to know all there is to know about what caused the evolution of Shia Islam and the succeeding Sunni resentment that followed. I have met a few Shia Muslims and have spoken with my Sunni Muslim friends about the matter. It appears that the battle is over something that happened nearly 1400 years ago; a deviation from the original faith observed by the Prophet Mohammad. The Sunni branch of Islam believes that the first four caliphs (Mohammed’s successors) rightfully took his place as the leaders of Islam. They recognize the heirs of the first four caliphs as legitimate religious leaders. These heirs ruled continuously in the Arab world until the break-up of the Ottoman Empire following the end of the First World War. Shia Islam, in contrast, teaches that only the heirs of the fourth caliph, Ali, are the legitimate successors of Mohammed. Shiites seem to be more mystical in nature—some paying homage and praying to Ali and his descendants. In some Shia homes in Iran, one will find “icons” honoring Ali. Shiites make pilgrimages to what is believed to be Ali’s gravesite in Iraq. Some speak of the miracles Ali has performed on their behalf. Sunnis compare such behavior to idolatry, and they believe that any form of idolatry is anathema and worthy of “hell fire.” Indeed, the Qur’an says that no one should worship idols or pay homage to humans or other created entities. Even pictures of the Prophet Mohammed are forbidden. I have visited Mohammed’s tomb at the Nabawī Mosque (also known as the Prophet’s Mosque) in Medina. There are guards posted at Mohammad’s sepulcher to prevent Muslims from praying or paying homagevenerating the Prophet. I find the Sunni-Shia divide to bear somewhat similarities to the great debate that took place between Protestants and Catholics during the great Reformation of the 16th and 17th centuries. Protestants separated from Roman Catholics, debating similar issues. Reformation leaders like Martin Luther, John Calvin, Huldrych Zwingli and others sought to eliminate many of the corruptions and accesses that were then present within Roman Catholicism. ISIS is now destroying Shia, Sunni and Sufi shrines and mosques around Mosul. Iraq. 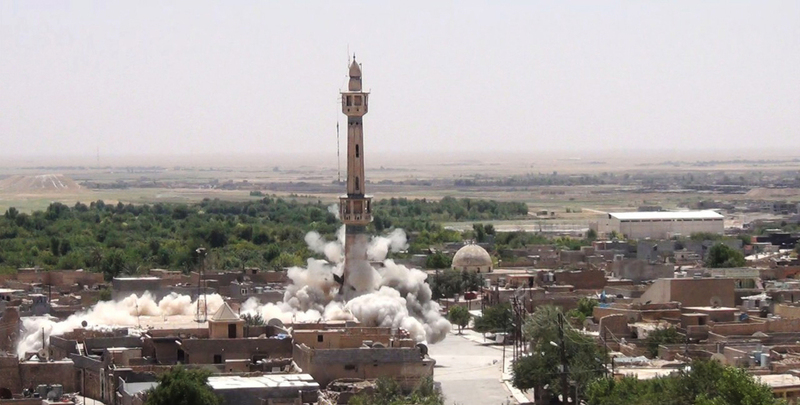 In this photo posted on a militant website that frequently carries official ISIS statements, Shia’s Jawad Husseiniya mosque is demolished in Tal Afar. As reformers allied themselves with kings and rulers vicious wars ensued between Catholics and Protestants. Horrible atrocities were committed. Many of the reformers were imprisoned, burned at the stake, beheaded, hanged or dismembered. Conflicts between some Shia and Sunni Muslims continue today. ISIS is further advancing its radical religious agenda by destroying Shiite mosques and Islamic shrines around the ancient Iraqi city of Mosul, which they captured last month. Al Arabiya reported that the damage extends to at least four shrines to Sunni or Sufi figures, and six Shiite mosques in the northern province of Nineveh. The vast majority of Shias and Sunnis live in friendship together side by side. They say it is security and stable economies their families need, not misguided extremists stirring up trouble. 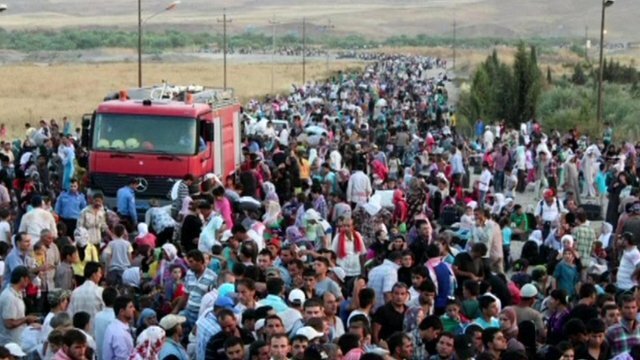 Millions of Syrian refugees have fled the civil war in their homeland in search of safety, medical treatment, food and temporary housing. I liken the present situation in Syria and Iraq to that of the former Yugoslavia. Yugoslavia had come into existence as a result of treaties at the end of the First World War. Serbia (which then included the present-day Republic of Macedonia), Montenegro, Bosnia, Herzegovina, Croatia, and Slovenia were forcibly joined, and after the Second World War these Balkan states were brought under Josip Tito’s communist dictatorship as the Iron Curtain of atheistic socialism descended over Central Europe. After Tito’s death in 1980 and the subsequent fall of communism in 1989, the nation of Yugoslavia descended into anarchy and civil war. Today, the former Yugoslavia has self-divided along religious beliefs and ethnicity. Now there are predominantly Catholic Christian states, Orthodox Christian states and Muslim states. All are now living peaceably and have expanding economies. Many of the Islamic states of the Middle East were also formed after the downfall of the Ottoman Empire at the end of the First World War. Their borders were drawn up by colonial powers (England and France). The secretive Sykes–Picot Agreement, officially known as the Asia Minor Agreement, defined their proposed spheres of influence and control in the Middle East. Dictators were essentially appointed and supported by various foreign powers, including the United States. What is now happening in Syria and Iraq is, I fear, inevitable. People yearn for freedom and stable economies–better futures. Today we are witnessing the breakup of these “forced” states along religious and ethnic lines. In the case of Syria and Iraq, Sunni, Shia and Kurds are vying to have dominant influence hoping to form their own independent states. 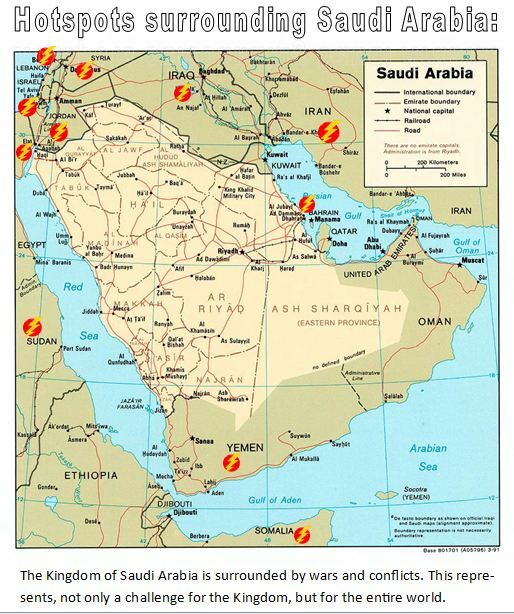 How will these conflicts that currently surround the Kingdom of Saudi Arabia, the United Arab Emirates, Qatar and Oman affect the stability of these nations? As I write this article, CNN is broadcasting that that Al Qaeda and another group new to me is planning attacks on Arabian Peninsula airports and shopping malls. There is growing concern about Islamic extremism here and elsewhere. As well-publicized bouts of violence, from civil war to suicide bombings, plague the Middle East, Africa and South Asia, concern about Islamic extremism is high among countries with substantial Muslim populations, according to a new survey by the Pew Research Center. Lebanese, Tunisians, Egyptians, Jordanians and Turks are all more worried about the extremist threat than they were a year ago. Men and women living in Muslim states hold very negative opinions of well-known extremist groups, such as al Qaeda, Hamas and Hezbollah. Prince Turki believes ISIS is a threat to world peace. He argued that the the major powers must come together to confront ISIS. “Look how many American young people, French, English and other misguided western youth are joining the ranks of ISIS,” he said. Prince Turki says this is a critical matter that needs to be dealt with by western governments as well as the Kingdom of Saudi Arabia and other Gulf Cooperation Council states. The ISIS call for a Sunni Islamic caliphate has little support outside the ranks of the organization. Muslim scholars and movements from across the Sunni Islamic spectrum have rejected the caliphate declared by the group, with the fighters receiving scathing criticism from mainstream Muslim leaders. Most recently the chief imam of Turkey has pronounced the ISIS caliphate as illegitimate. The Qur’an is clear on matters of war and condemns suicide bombers as worthy of hell fire. 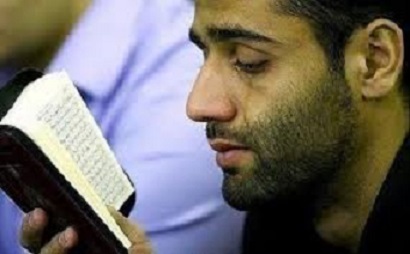 The Qur’an provides rules for faith and practice for all Muslims. All the Abrahamic faiths (Judaism, Christianity and Islam) agree that acts of aggressive behavior, especially when it involves murder and massacres of innocent men, women and children, are evil. There is no place within any of these faiths for suicide bombers and acts of aggression. Abrahamic believers today are of one of two opinions. Some seek to avoid conflict and war all together, declaring themselves pacifists or conscientious objectors. They refuse to fight under any circumstances. The overwhelming majority consider “just war” appropriate when confronting an agressive enemy that is invading, killing their fellow citizens, and destroying their cities, businesses, farmlands and homes. Suicide is forbidden. “O ye who believe!… [do not] kill yourselves, for truly God has been to you Most Merciful. If any do that in rancour and injustice, soon shall We cast him into the Fire…” (Qur’an 4:29-30). The taking of life is allowed only by way of justice (i.e. the death penalty for murder), but even then, forgiveness is encouraged. “Nor take life – which God has made sacred – except for just cause…” (Qur’an 17:33). In pre-Islamic Arabia, retaliation and mass murder was commonplace. If someone was killed, the victim’s tribe would retaliate against the murderer’s entire tribe. This practice was directly forbidden in the Qur’an (2:178-179). Following this statement of law, the Qur’an says, “After this, whoever exceeds the limits shall be in grave chastisement” (Qur’an 2:178). No matter what wrong we perceive as being done against us, we may not lash out against an entire population of people. The Qur’an admonishes those who oppress others and transgress beyond the bounds of what is right and just. “The blame is only against those who oppress men with wrongdoing and insolently transgress beyond bounds through the land, defying right and justice. For such there will be a chastisement grievous (in the Hereafter)” (Qur’an 42:42). Harming innocent bystanders, even in times of war, was forbidden by the Prophet Muhammad. This includes women, children, noncombatant bystanders–even animals, trees and crops. Nothing is to be harmed unless the aggressor is actively engaged in an assault against Muslims. Listen to this interview conducted from Jeddah last evening by CNN’s Christiane Amanpour with Saudi Prince Turki al Faisal.